It was sometime during the winter of 2014 when I happened upon the debut release from John Lutkevitch and his recording vehicle Soft Fangs. I remember a late afternoon snowfall and being mildly hung over from the previous evening, when the eureka moment hit. The 5 songs on that EP stopped me dead in my tracks, they seemed oddly familiar to me although I had never heard them before. Perhaps it was the sense of intimacy and nostalgia on those tracks or perhaps it was the honeyed hushed vocals and dark pop sensibilities that Lutkevitch’s exhibited on each of those songs. Either way I was all in on first listen. Last year Soft Fangs delivered their full length debut, The Light which found Soft Fangs expanding their sound beautifully, with fleshed out instrumentation while maintaining the lo-fi aesthetic and stark arrangements. 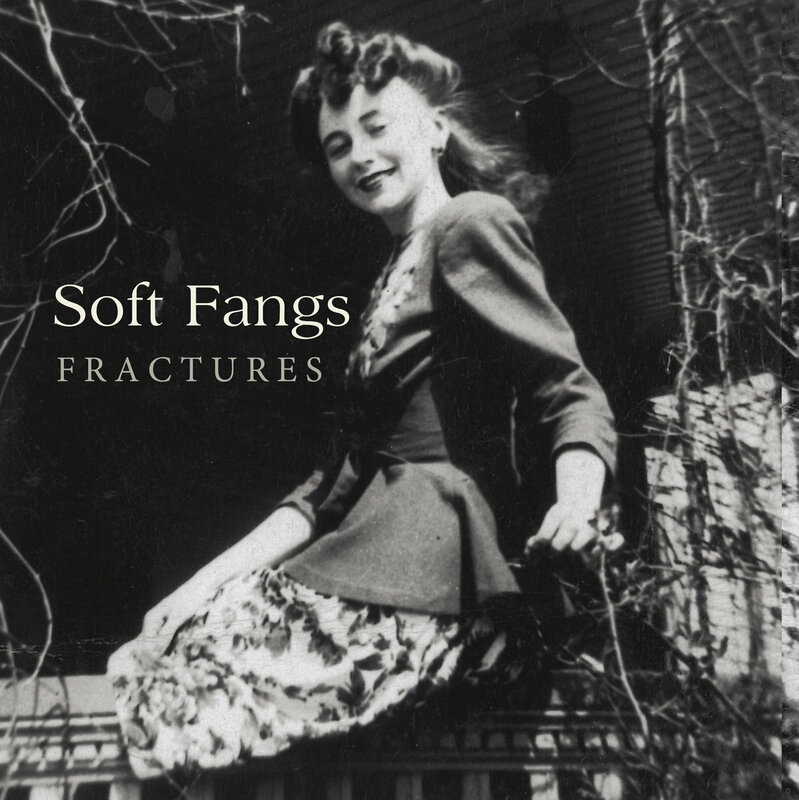 On the new set, Fractures issued last week via the estimable Disposable America imprint Soft Fangs return armed with an enticing and engaging new set. The LP was recorded last winter in Maine where Lutkevitch was holed up for a three day period where he “wore slippers & played until the cops came”. Fractures opens with the gently plucked guitar strums of Elephant Girl before giving way to cymbal crashes and an understated snare drum with John Lutkevitch delivering lyrical devastation in his usual whispered vocal, “Why do you try to impress me? I’m Nobody”. The track is a strong reminder of what Soft Fangs do best, dark folk pop laced with melancholy. Elsewhere the LP addresses the establishment on Cop, the despair of alienation on We Don’t Live Together Anymore, and an anti folk song, aptly titled Folk Guitar. The track that seems to stick with me and has me returning to this LP for more is Honey Colony, an outstanding and gorgeous piece of songwriting that oozes with subtle pop hooks, an understated chord progression, and the albums strongest lyrical passage. A tale of the life of worker bee and one of unrequited love disguised in pop perfection. As whole Fractures manages to build on Lutkevich’s past work, while carving out some exciting new sonic territory and delivering the exemplary song-craft he hinted at on that snow covered afternoon in 2014. Soft Fangs play News Cafe in Pawtucket along with Night Nurses and Half Hearted Hero on September 22nd.